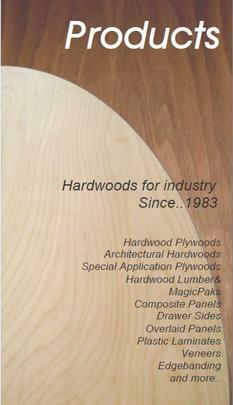 Magic City Plywood has been serving the Custom Cabinet, Furniture and Store Fixture manufacturer for over 30 years. Supplying the finest hardwoods, hardwood plywoods and related products to the northern two-thirds of the state of Alabama. a loyal following among them. Don't take this to mean we're small, with over 3/4 million dollars in inventory we have an extensive range of materials to offer you. Panels that are special order elsewhere may be in stock here!, take a look at our inventory page to get an idea of what we carry. Walk-in business is handled as long as you are able to order at our counter, we do not have the personel to show you through our warehouses as we are primarily a wholesale distributor. While we do not accept checks, your debit card is welcome.